Industrial network operators are under constant demand to increase productivity and reduce costs. To do this, operators are shifting towards standard communication technologies and commercial off-the-shelf equipment—giving way to a new type of direct threat to industrial control systems (ICS). 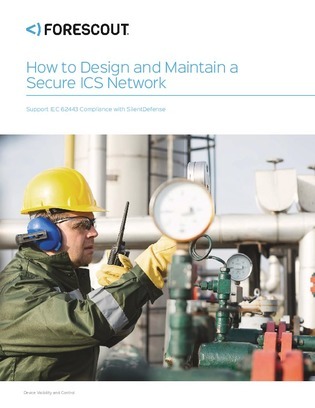 Download this white paper to learn about ISA 99/IEC 62443—a framework established to help secure networks against these threats. Also, discover SilentDefense by ForeScout, and how it can help your network comply with IEC 62443.